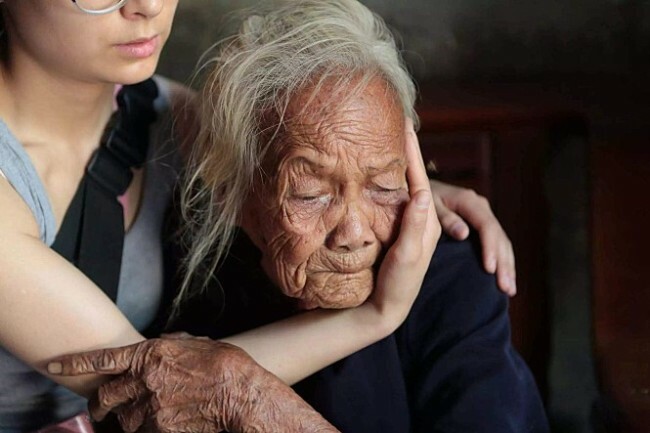 When the documentary film “Twenty Two” started filming in 2014, there were 22 surviving “comfort women” -- euphemism for those forced into sexual slavery by Japan during World War II -- in China. As of 2018, only seven remain, and the film desperately attempts to capture what could be their last messages to the world on screen. “Twenty Two,” set for release here Tuesday, is directed by Ke Guo and tracks down the former comfort women living in China, two of whom are Koreans. The director just points the camera at the victims as they calmly recall their harrowing tales. He feels no need to dramatize the tragedy that occurred decades ago and is still buried deep within their withering bodies, leaving viewers to witness it through their eyes. 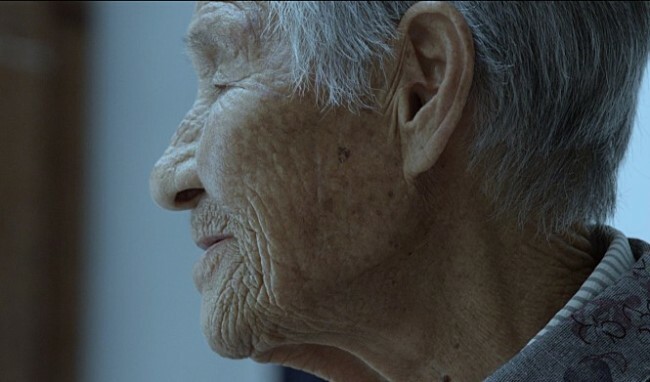 One sequence follows a former comfort woman, Lin Ailan, through her days as she grumpily glares at the camera, complaining, “How many pictures are they taking? They take pictures all day!” As witnessed in the case of the bewildered elderly woman, no exaggeration, interrogation, or sympathy is shown in the film. The emotions just come naturally for viewers as they are presented with their stories. The scene of Lin accusing friends of taking her medal and sheepishly smiling when she finds her forgetfulness was to blame is truly endearing, which only serves as a reminder of the brutality that trampled upon her over seven decades ago. In December 1942, Lin strapped on a gun and fought the Japanese invasion. After she was captured, she was forced into sexual slavery for six months. Her severed leg is among the physical and mental toll that taxes her to this day. Her sharp eyes, an indicator of the strong soul that she is, well up for a brief moment when she told of the horrors committed by the Japanese soldiers. She passed away briefly after the film was shot. Park Cha-sun was a Korean lady who went to China at the age of 18 looking for a job, where she was forced into sexual slavery. “Talking about it hurts, all the time,” she said, as the experience left her unable to bear a child. She passed away in January last year. “I was compelled to leave a record of all this before they (comfort women) all pass away. I thought maybe this could be the last chance for us to hear their stories. I hope for (the viewers) to learn from their lives the wisdom of history, meaning of live,” Ke Guo said on why he shot the film. Prior to the film, he directed the documentary short “Thirty Two” about a former comfort women, Wei Shaola, and her son, winning the best cinematography award at the 2013 Chinese Academy Awards of Documentary Film. The film ran aground during the process due to budget problems, and raised money via crowdfunding in which 32,099 people participated. While the issue was initially considered not profitable in terms of finance, it became the first documentary film to surpass 100 million yuan ($14.5 million) in the Chinese box office, according to its local distributers. Aug.14, the opening day of “Twenty Two” in Korea, falls on the International Memorial Day for the Comfort Women, designated by the Asia Solidarity Conference for the Resolution of the Military Sexual Slavery by Japan in 2012.